Sometimes the little gifts are the best. Little models and cheap gadgets can always raise a smile, plus you can get hold of them for next to nothing - for a car-lover (regardless of age!) one of these sub-£10 gifts could be the perfect stocking filler. Click through our gallery below to see 10 of the most affordable Christmas gifts. 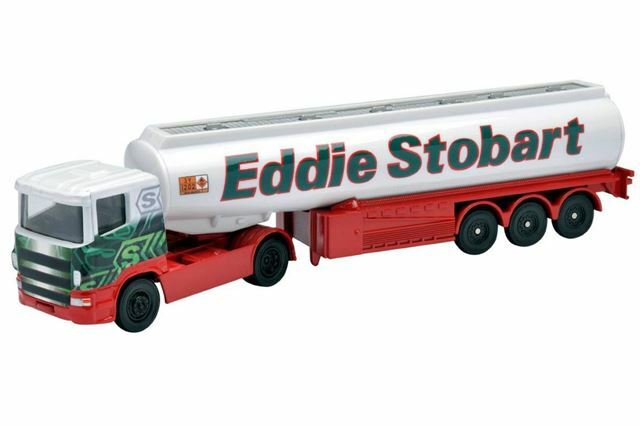 Scale models are almost certain to appeal to a petrolhead – and a famous Stobart Scania truck is a pretty choice of scale model. It’s small, in 1:64 scale, but that just means it fits on a shelf more easily. The trailer can be decoupled and is made of plastic, while the tractor unit is die-cast metal. This isn’t the most detailed or precise model – but for £10 it’s hard to complain too much.